The number of women prisoners has been growing rapidly during recent years and in many places has more than doubled in the past decade, significantly outstripping increases in the number of male prisoners and with particular consequences for minority ethnic, black and aboriginal women, who constitute disproportionate levels of prison populations in many countries including Canada, the United States, the UK and Australia. 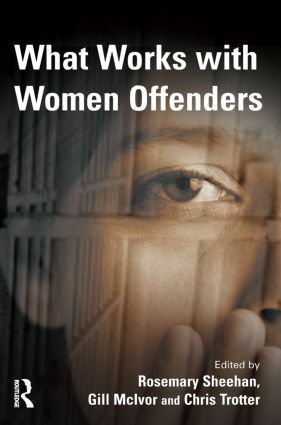 What Works with Women Offenders provides a comprehensive analysis of the issues relating to work with women offenders. Chapters are written by academics and professionals with a high degree of expertise in their specific field, and its practical focus is designed to make it relevant to those working with women offenders. Imprisoning women offenders does not solve the problems that underlie the involvement of women in the criminal justice system, and a particular concern of this book is to identify and develop alternative responses that offer appropriate support and intervention to address womens underlying problems and reduce re-offending. The increase in womens imprisonment is very much an international phenomenon, and the book also aims to share knowledge and experiences from different jurisdictions to be shared more widely, and for the lessons learnt from good practice to be more widely disseminated. What does work for women offenders?